A sensational dry sherry-style wine, chosen by our organic tipple expert Ben Watson. Pale straw-yellow in colour, it has a powerful aroma of freshly baked bread and a distinctive toasted hazelnut flavour. 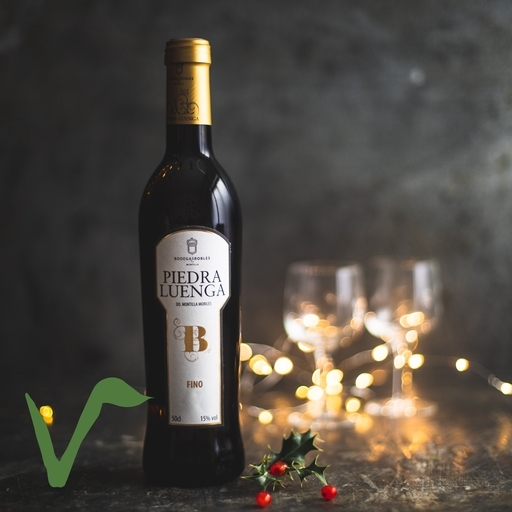 The naturally high sugar content of the Pedro Ximénez grapes give this fortified wine a pleasing long finish. Keep in a cool, dry place out of direct sunlight. Serve cool and consume within 3-4 weeks of opening. The fully organic estate of Bodegas Robles lies in the heart of Andalucia, south of Cordoba, in the Denominacion Montilla-Moriles, and was founded in 1927 by Antonio José Robles and his wife, Pilar. The Robles family has since been producing wine ever since has won many prestigious prizes as well as worldwide recognition. Fino fortified wine is made using the traditional 'solera and criadera' barrel aging system, which helps give it its unique flavour.